Look, sweatpants are always the jam, but sometimes you have to show up looking smart. Whether you’re staying home to hunker down and binge watch football or traveling home for mom’s sweet potato goodness, here’s a quick guide to showing up at the table looking your best. Keep reading to see how to dress for our day of thanks. Your Friendsgiving hero piece: A flannel shirt. If you’re skipping the trip home this Thanksgiving, why not keep it casual? 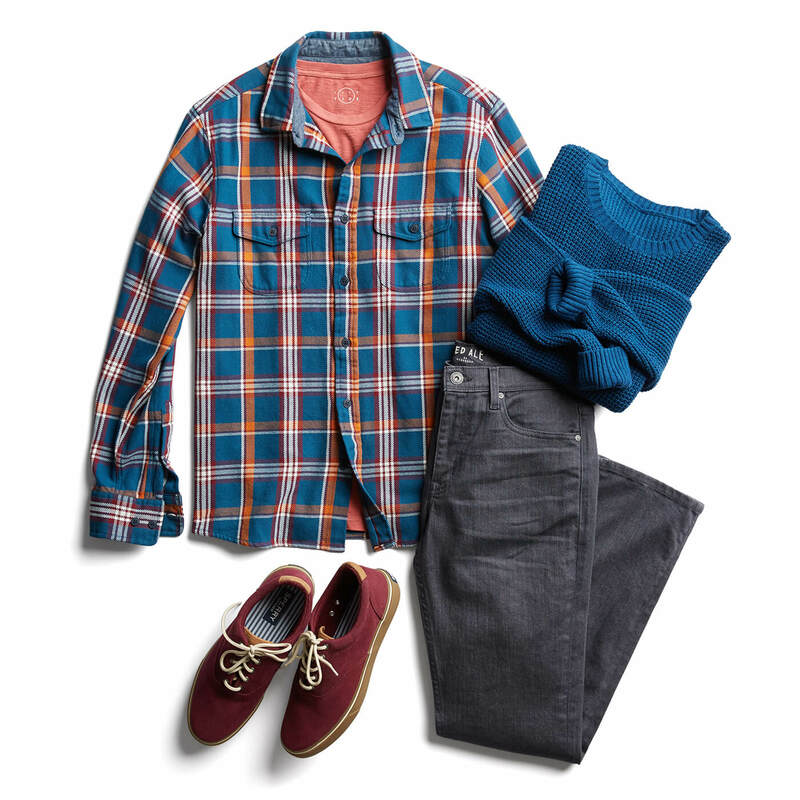 Wear your favorite workwear hero—the plaid flannel—paired with jeans (that come with a side of stretch). If it’s extra cold where you live, grab a pullover sweater and don’t shy away from layering it under a heavy coat. Your airport hero piece: Sneakers. Checked in and ready to fly? Keep it simple for your early morning or red eye flight with a basic tee layered under a performance pullover and vest. Breeze through the security line with easy to slip in and out of sneakers. Plus, if you’re running late for your flight, they won’t slow you down. Your game day hero piece: A puffer jacket. 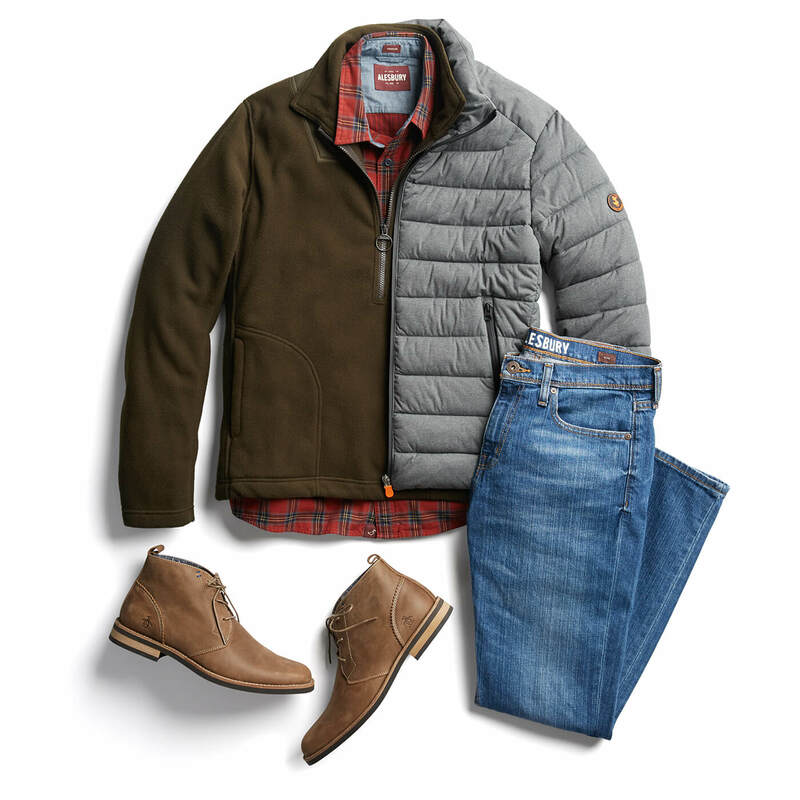 Whether you’re watching the game from the comfort of your couch or the stadium, root your team on with jeans, a flannel (or their jersey) and a puffer jacket. It will come in particularly handy if you’re tasked with tending to the bird too—bonus points if it’s on the barbecue this year. Your meet the parents hero piece: Black jeans. It’s happening—you’re meeting the parents for the first time. The spotlight’s going to be on you. 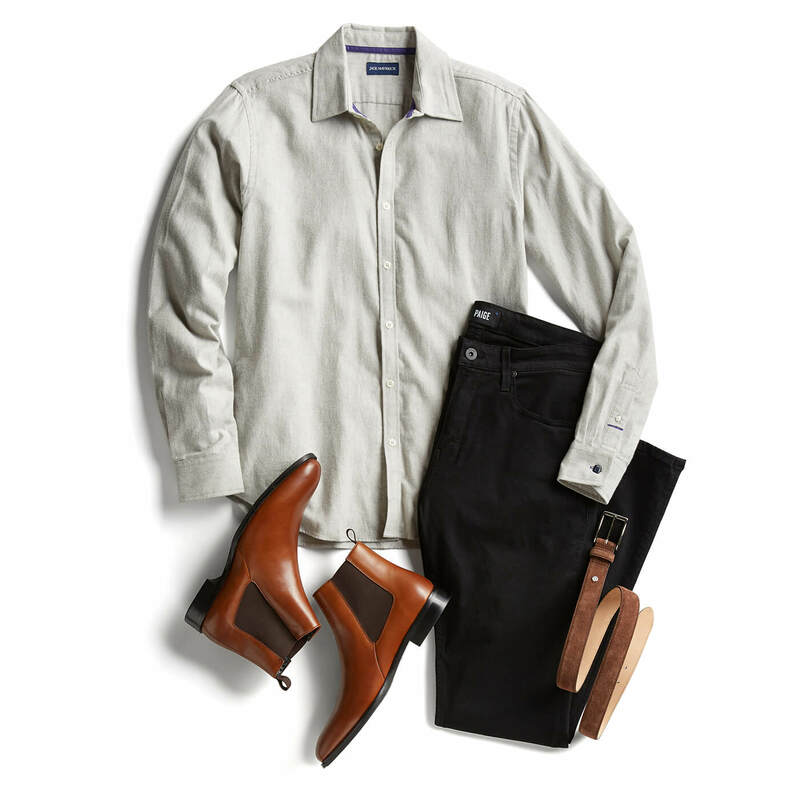 Try to keep your cool in a dressed down dress shirt worn with pitch black jeans (with extra stretch for mom’s seconds). 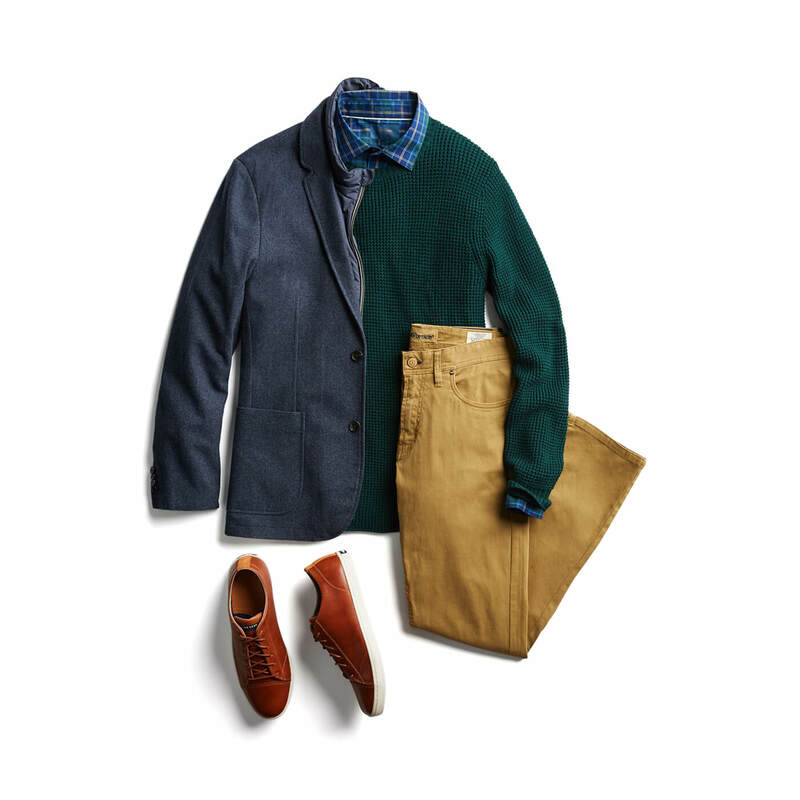 Your Thanksgiving dinner hero piece: A stretch blazer. Deceptively comfortable and classy, a stretch blazer looks good and feels even better. 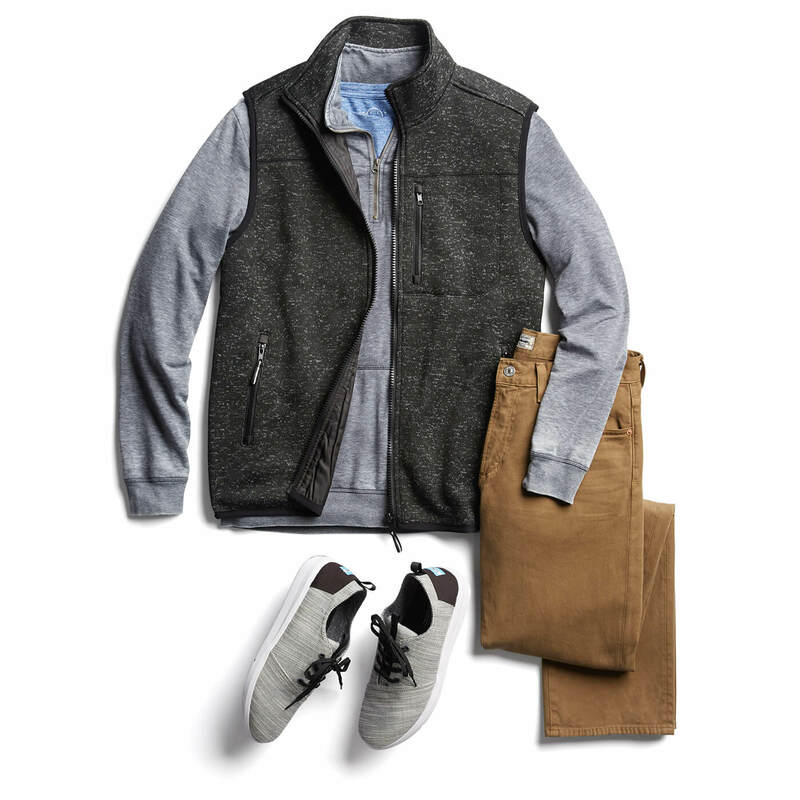 Whether you’re leading the charge with preparing Thanksgiving dinner, or just eating it, wear a sweater and a button-up with a pair of colored jeans (can’t go wrong with tan) and leather sneakers or chukkas. It’s not too late to get a new look this holiday. Tell your Stylist what you want & we’ll get you styled before carving turkey.